This is the UK launch event of the 3rd China (Shenzhen) Innovation & Entrepreneurship International Competition, which was officially launched on December 1st, 2018. The competition will attract numerous high-quality overseas start-up projects, in order to integrate innovation and entrepreneurship resources to help foreign innovators and entrepreneurs connect with Chinese hi-tech industrial resources, thus expanding the Chinese market for win- win results. Registration for the competition is open from December 1st, 2018 to February 28th, 2019. In March 2019, Overseas Division Competitions will be held in 10 cities across 9 countries, and the preliminary round for the Professional Competition will start at the same time. As a result, more than100 outstanding projects selected from the Overseas Division Competitions and Professional Competition will meet in Shenzhen in April 2019 and compete for the final awards. The competition offers a total prize pool of RMB 11.2 million (1.43 million Euros), including RMB 2.9 million (370,000 Euros) for Overseas Division finalists, RMB 1.5 million (190,000 Euros) for Professional finalists, RMB 2.5 million (320,000 Euros) for Industrial finalists and RMB 4.3 million (550,000 Euros) for grand champion. Each contestant may stand the chance to win a total prize of RMB 1.4 million (180,000 Euros). In addition to the prizes, the competition also provides high-quality entrepreneurship projects with support such as industrial incentives, financial technology and project incubation. (1) Innovation and opening up to connect the global highlands of innovation. This year’s international competition will continue to further connect global cities and regions. A new session of the Overseas Division Competitions has been added to the previous nine sessions and will be held in Madrid (Spain). Therefore, there will be a total of ten sessions of the Overseas Division Competitions, which will be held in Sydney (Australia), Toronto (Canada), Berlin (Germany), Tel Aviv (Israel), Tokyo (Japan), Stockholm (Sweden), Madrid (Spain), Boston (U.S.A.), Silicon Valley (U.S.A.) and London (U.K.). (3) Gathering of venture capital investment and integration of resources. Up to 40 venture capital organizations will participate in the international competition. 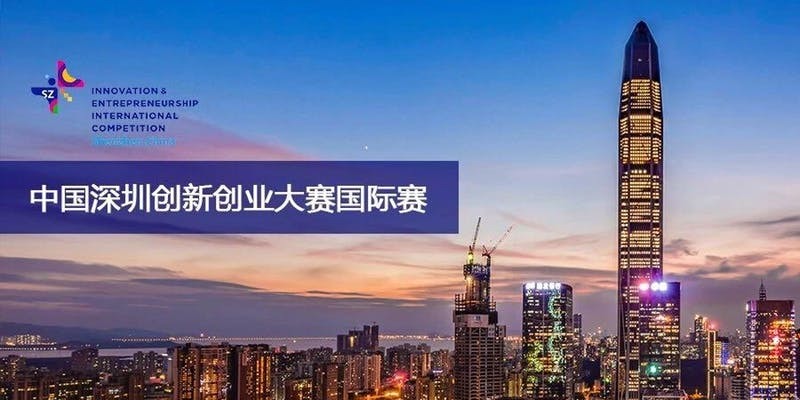 A number of renowned investment organizations represented by Shenzhen Capital Group, Shenzhen Green Pine Capital, Oriental Fortune Capital, Cowincapital and Green Orange Capital will connect directly during the competition and form a venture capital fund pool of RMB 25 billion (3.2 billion Euros) to carry out portfolio investment on outstanding competition projects. During the division competitions, investment organizations and investors from Shenzhen will serve as judges and supervisors and engage in project connections in different countries and divisions. All participating projects will be provided with social capital investment opportunities through the investment connection service platform of the competition. Meanwhile, two banks will be selected to offer various forms of financial service solutions such as “investment and financing loans” and “talent loans” so as to offer more options to the settling companies in terms of financing and facilitate the development of contestants. The competition has been launched on December 1st, 2018 and participants are required to register before February 28th, 2019.